Click Here for Information on Reserving Your Spot for the April 28th 2016 Exhibition. Click Here to View or to Download the Registration Form. Email Announcement, see below, provides additional information. Please contact Jean Huston at PhillyLRIG@gmail.com with Questions. We are seeking exhibitors for the April 28, 2016 LRIG Philadelphia meeting in King of Prussia, Pennsylvania. 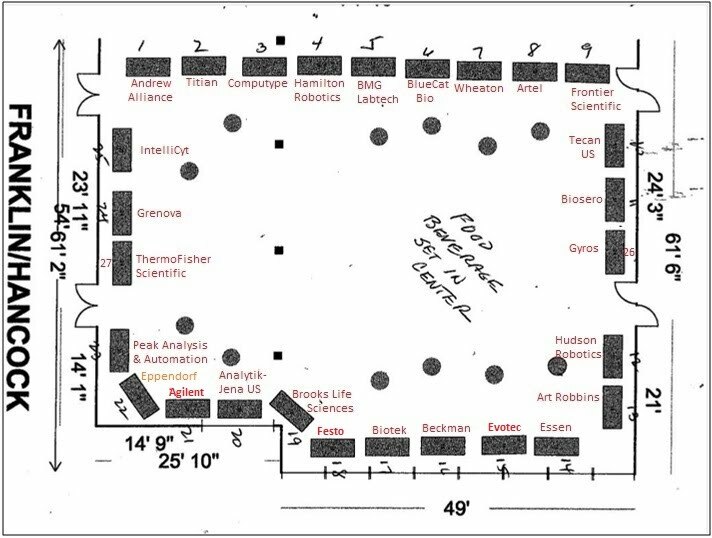 Your support allows us to provide a venue and food for the attendees and gives vendors an opportunity to meet with the people who buy equipment and consumable supplies for automation and scientific applications. · Presentations will begin at 4:15 PM and end at 6:15 PM. · The abstracts must be submitted by April 8, 2016 to allow sufficient time for review and selection. We are seeking exhibitors for the April 22, 2015 LRIG Philadelphia meeting in King of Prussia, Pennsylvania. Your support allows us to provide a venue and food for the attendees and gives vendors an opportunity to meet with the people who buy equipment and consumable supplies for automation and scientific applications. · The abstracts must be submitted by April 10, 2015 to allow sufficient time for review and selection. The internet password is phlvf2015. If you have questions, please email PhillyLRIG@gmail.com. Frequently Asked Questions will be answered here. You host will be Dr. Dennis Murphy. After your presentation, we will be happy to post a PDF version of you presentation on our website. You can either provide the PDF or we will do the conversion of PowerPoint. The times of the presentations are shown below.